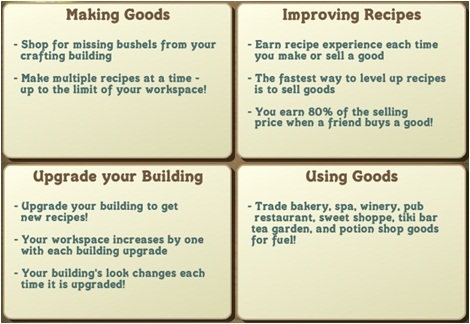 Here is an updated list of recipe (as of Feb 2013) for the FarmVille Bakery. 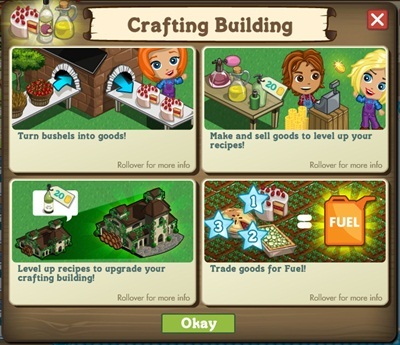 As we know the Bakery is one of the early crafting building in FarmVille and it is one of the crafting building that has more number of recipe that players can craft. To craft just collect the necessary bushels that a recipe needs by either harvesting the crops that gives the particular bushels you need or shop at bushel market. Players can only buy 3 bushels from a neighbor per day.